IP network cameras are quickly growing in popularity as quality increases, bandwidth grows and prices become more affordable. We have a wide range of wireless IP security cameras that will allow you to watch your home or office without the need to run cable. IP cameras are designed combing with different valuable features. 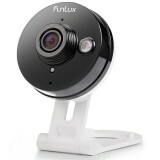 For indoor use, you can select indoor IP cameras. If you do not like those with large weight, our mini type can be hold easily by one hand, and is easily to be invisible and blending into the surrounding environment. Some one may do not want a DVR, each of our IP cameras can be seperately used and controlled via IE on PC. These wireless IP security camera are designed to protect your property and belongings, and these security cameras allow you to remotely watch them from wherever you are. All wireless camera systems come with a 30-day money back guarantee, a minimum one year warranty, and free support over the lifetime of your product.